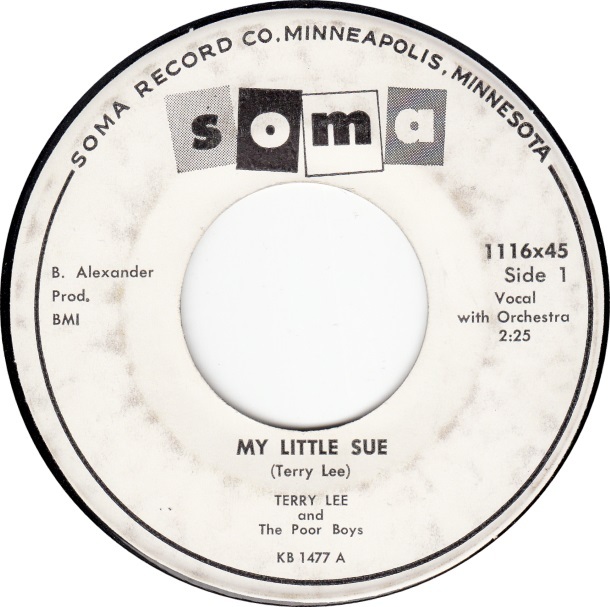 Terry Lee was actually a stage name for Bob Becker's group. I contacted him through his website and sent him some questions, which he was kind enough to answer. Thanks Bob. 1. Please tell me everything you remember about Kay Bank studio. I am interested in personal anecdotes about Vern Bank or Amos Heilicher. Kay Bank was our first professional recording studio experience. My parents paid for the trip and studio time. We had Scott Beach also come with us to produce the session. Scott was a talented Radio DJ at KFGO 790 Radio, a TOP Station for our music…they broke several records nationally! We were very impressed with the engineer, as I recall his name was Tom Jung…does that ring a bell with you? I was really impressed with the echo chamber they had at that time! My Mom dealt with Vern Bank…didn’t have much to do with him myself. 2. How much did the sessions cost? I’ve heard about 500 copies of the record were pressed. Please tell me anything else about the pressing and distribution, if you know. 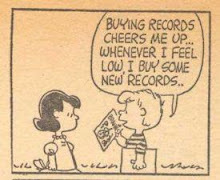 I feel that for everything (the session, 500 records, and paying Scott Beach, plus hotel, food gas etc.) we spent around $1800. At the time, Myron Lee had a white label with his picture on it (promo) and I wanted a white label…I think it was the only non-promo white label Soma ever used! I recall Amos had pressed some over the 500 we received to send out to radio stations….I also sent some out to radio stations or dropped of a copy in person. 3. Did you get to choose the record was issued on Soma? We did not choose to have the Soma label. That was part of the package with Amos Heilicher. 4. Did Kay Bank promote the record? 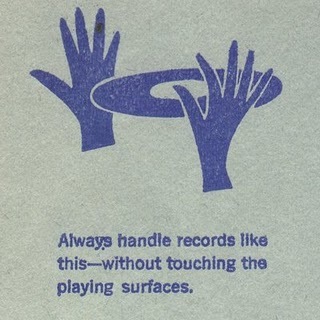 Kay Bank did not promote the record…just Heilicher. 5. Was it played on the radio? Lincoln, Nebraska, played it hard! Many stations in Wisconsin, North & South Dakota, Nebraska & Montana and Canadian Stations in Manitoba played it too. 6. Was the record sold in stores or did you get all the copies yourself to distribute? The record was sold in the Fargo-Moorhead Music stores and we had a remote when the record came out at the local Moorhead Music store where we bought all our instruments! 7. How many songs did you record at Kay Bank? How many takes of My Little Sue did you record? We recorded three sessions there with the Poor Boys and one with Steve Wroe & the Fury's. Loree Ann, Stay My Love, and two break songs that were later put out on the Mystic Label by Jim Stillman, a bass player the came in after Jeff Clark left for the Marines. 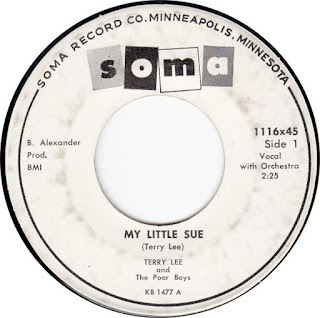 “My Little Sue” took about 3 takes…the instrumental was recorded first, and I sang over that. One take for the instrumental and two takes for the vocal. 8. 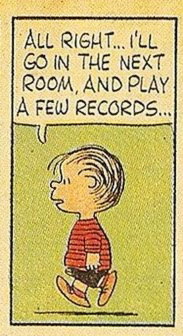 Do you have the master tapes or discs? Yes I do and two Years ago put them on my studio Tascam Decks and transferred them to mini-disc and then to CD. I was amazed that the tapes were still strong and the recordings were excellent after that many years! I think they were mylar tapes. I have moved around over the years from Moorhead to Litchfield, Mn and back to Moorhead. They’ve been stored in basements, garages and still played super!!! 9. Who are the other musicians on the recordings? On the original recordings, Dave Pederson, lead guitar, Jeff Clark, bass guitar, John Leppart, drums and myself on Rhythm Guitar….When the group started, I used the name Bobby Edwards, Bobby Shane and later Terry Lee and after that Bob Becker. 10. Please tell me all about your experience with Bob Dylan. The Poor Boys had a great friend and follower named Ron Joelson. He was Jewish and when Bob Zimmerman came to Fargo, Ron’s family befriended him and Bob lived with the family a few months. Ron mentioned that Bob played piano and said we should give him a try, so we did, but found Bob only played in the key of C and sometimes in the Key of A. We used him at the Crystal Ballroom in downtown Fargo one Saturday night. This Ballroom was tops in Fargo and if you worked for Doc Chinn, you were a top Band! Doc was a big band man, and booked the big, popular, road band. He did NOT like Rock ‘N Roll, but had to book some of us because big bands were slowly fading out and combos etc. were becoming popular around the country. Anyway, Doc came to pay us and heard Bob sing a song and play piano, and was NOT impressed. As I approached his office to get our money, he came out to meet me and said “That’s Guys Gotta Go!!”. I nearly wet my pants for fear we were going to get fired! 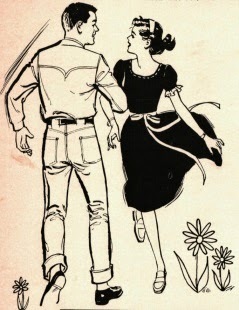 (I think Bob overheard it, as it echoed thru the ballroom). 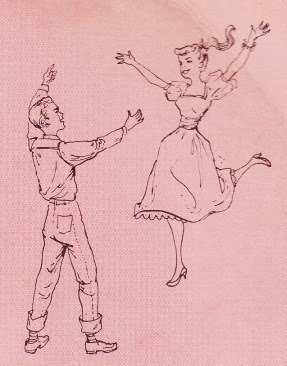 But to NOT play at the Crystal Ballroom would have been a disaster for the Poor Boys, so I was forced to let him go. Bobby Vee hired Bob a couple weeks later, but also had to let him go! That's the Story Derik, and I’m stickin’ to it!! Bob was nice person, and it was hard for me to let him go. 11. Did you ever appear at the Flame Cafe or other venues? The Flame…no, never did play there…Sherwin Linton did ….He’s a long-time Friend of mine. 12. Did you ever know Chuck Carson or other country artists? Please share any info about them. 13. What other musicians did you perform with? I was so busy with the Poor Boys that I didn’t play with too many other bands. I sat in for Ray Peterson one evening at the Dirty Bird in Moorhead, when he couldn’t perform due to a kidney stone. The Poor Boys played a week at Sioux Falls, SD for Myron Lee at the Capri Club Many years back. Also worked with the Dave Kolle Show few years too. I also played pedal steel guitar backup for Liz Anderson in Fargo in the late 60’s. 14. Did you record at any other studio? Recorded in Nashville in 1970. Liz & Casey Anderson produced the session. We used all the Nashville studio cats at the RCA Studios as well as the Jordanaires backing me up. I also recorded at Dove Studios in Minneapolis. 15. Please tell me about your life. Birthplace, how you learned music, first instruments, live shows you might have seen, etc. I was born July 15th, 1940 in Fargo, brought home to Moorhead and grew up there. Graduated from Moorhead High in 1958. Music was and still is my life. I learned to play the steel Guitar very early & took lessons from Herb Dooley, who played with Speedy Ross’s band on KXJB TV channel 4 out of Valley City/Fargo at that time. I learned guitar when Dave Pederson & I started the Poor Boys. Rock-A-Billy didn’t need steel guitar, so Dave taught me how to play chords and my fingers bled & were so sore I had to put tape on my fingers. played chords in two weeks!! Both the Poor Boys and many country artists I met through working at KFGO Radio over many years. I am still in the radio business, now doing syndicated old time shows. I’ve had a great life….God is Good!!! 16. One last question: Do you have any copies left of the record? What is the most it has sold for? How does it feel to have made a record that is worth so much money?